Among the highlights on Day 3 of NECA 2016 Boston were remarks made by the city’s former police chief, Daniel Linskey, at Sunday morning’s General Session. 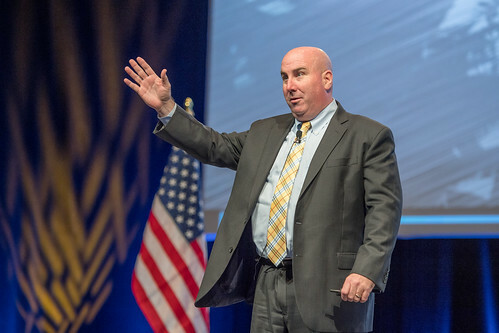 Linskey, was in charge of Boston’s police during the Boston Marathon terrorist attack in 2013, spoke about how he has learned to handle leadership in times of crisis and his experiences during the bombing and its aftermath. Chief Daniel Linskey at NECA16’s Sunday General Session from NECAnet on Vimeo. As he moved up the ranks, he did just that, saying he’s been on a quest for leadership “his whole life.” He didn’t pass on opportunities for leadership posts and made sure to step outside his comfort zones. It’s important to “find out where you are” before the crisis and to be prepared to think differently if necessary, he said. During a crisis, among the things to do is to come up with a list of five actions to take. “You better be the calmest and the coolest you have ever been and have a plan – or make your team believe you have a plan even if you don’t – because they’re going to want you to lead,” he said. After the crisis, he added, keep your promises and be a human. Document what you did right after the action occurred and honestly identify what you did wrong and avoid repeating those mistakes. As Managing Director at Kroll, Linskey now serves clients in diverse industries with experience in investigations, crisis response planning and risk management as well as personal, physical and operational security strategies. He’s also a homeland security/law enforcement news analyst for the local Fox affiliate in Boston. Linskey praised the people of Boston who came together during the horrific attack, which killed three spectators and injured hundreds. “I cannot tell you how cooperative our citizens were,” he said. The show floor opened again Sunday – with more than 300 exhibitors interacting with NECA members – and a range of education course continued throughout the day. Approximately 60 attendees gathered for the 2016 Women In NECA Roundtable, an annual event that brings together women in the industry from around the country. This 88-Year-Old Man Has Led a “NECA Life” from NECAnet on Vimeo. Thousands of electrical professionals joined the National Electrical Contractors Association for its 2010 annual convention and trade show in Boston, Oct. 2-5. The convention and NECA Show are the premier events for the electrical construction industry, with strategies for handling the lagging construction market dominating this year’s event. 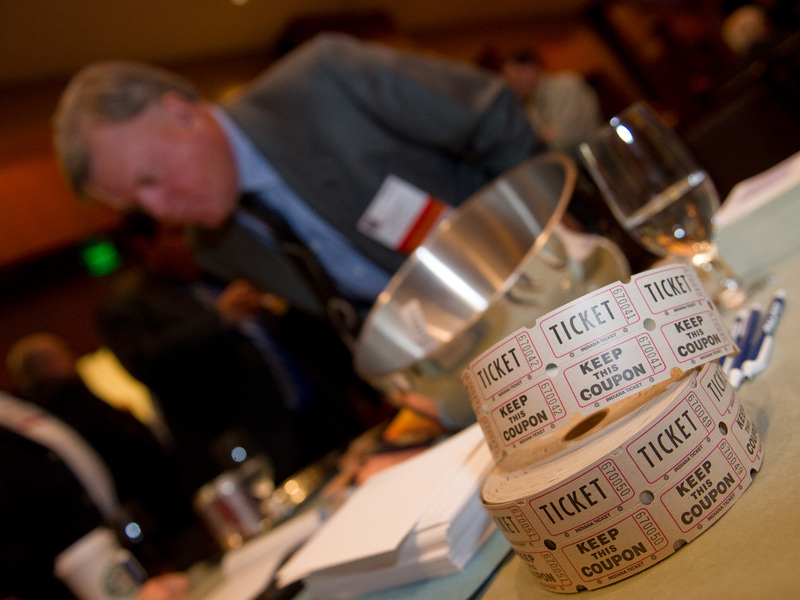 NECA 2010 Boston offered the industry’s best education, networking opportunities, and market intelligence, all focused on the needs of electrical contractors working in today’s economy. Ranging from NFPA 70E requirements to smart grid technologies to the new OSHA crane and derrick guidelines, NECA 2010 Boston offered education and insight for all building professionals, especially those looking for the latest information on green building technologies, safety innovations, and integrated systems. 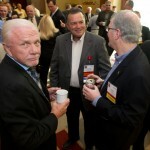 Along with economic management strategies, contractors at NECA 2010 Boston are focused on the green energy market. “Green building practices are shaping the majority of current construction projects, and smart energy choices have the greatest impact on green building,” Ferry said. The NECA Show featured over 250 exhibitors with products and services specifically for electrical contractors. The 103rd Electricians Pipe and Drum Band, sponsored by Helmets to Hardhats, opened the Show floor Oct. 3 with great fanfare. In addition to the trade show and educational opportunities, NECA 2010 Boston also hosted NECA’s student summit, finalist presentations in the second annual Green Energy Challenge, and inspirational keynote speeches from deep-sea explorer Dr. Robert Ballard, best known for his 1985 discovery of the Titanic and soldier Michael J. Durant, author of Blackhawk Down and In the Company of Heroes. “I particularly enjoyed listening to Dr. Ballard on Sunday morning; in fact, I could have easily spent the rest of the day hearing about his exploits,” said Rich Wynne, Manager, St. Paul Chapter, NECA. 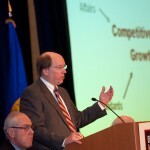 Seminars, workshops and other events were featured on blog.necaconvention.org, with shorter updates posted on NECA Convention’s Facebook Fan page and Twitter. Photos of NECA 2010 Boston activities will be posted on NECA’s Flickr page. 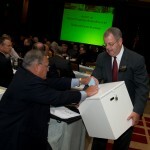 NECA is the voice of the $130 billion electrical construction industry that brings power, light, and communication technology to buildings and communities across the U.S. NECA’s national office and 119 local chapters advance the industry through advocacy, education, research and standards development. For more information, visit www.necanet.org. 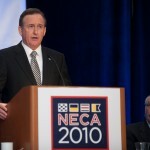 The 2010 NECA Show, featuring over 250 exhibitors with products and services specifically for electrical contractors, opened today immediately following the Opening General Session. The 103rd Electricians Pipe and Drum Band, sponsored by Helmets to Hardhats, led the crowd, and thousands of attendees flooded the halls to see the latest and greatest. We know it’s going to be tough to see everything in one day. That’s why the NECA Show is open for three full days, to allow Show-goers enough time to meet the vendors and try out the products. Exhibitors are also sponsoring a ton of giveaways on the Show floor, and the easiest way to keep track of everything is by following NECA Convention on Twitter, www.twitter.com/NECAConvention. Ginger Wilson is tweeting some of the exhibitors that catch her eye there, and she gets the first scope on cool prize giveaways at the booths, but you need to be on Twitter first! Once there, use the hashtag #NECA10 with your NECA 2010 Boston tweets. Technical workshops will be going out during the NECA Show as well, so it’s a good idea to plan your schedule in advance. Don’t forget the new Showstopper Showcase that combines ELECTRICAL CONTRACTOR’s Showstopper Awards with the NECA Show’s New and Featured Product Room. It’s a great chance to browse new items and updated services at your convenience, and follow up one-on-one with the exhibitors at the Show. 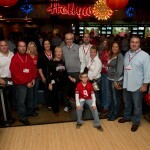 Grand-Slam Night Out at Jillian’s a Huge Success! NECA 2010 Boston attendees and their guests got an unexpected treat when the Friday, Oct. 1 game between the Red Sox and Yankees was rained out, resulting in a double-header between the two rivals on Saturday, Oct. 2, the evening of NECA 2010 Boston’s opening celebration at Jillian’s. 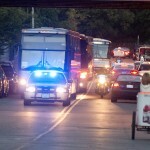 Four floors of fun greeted guests who braved Boston’s game-day traffic with a little help from local police escorts. Between the bowling, pool games, dancing, fabulous food and drinks – the event even boasted a costumed monkey who patiently posed for pictures – the Grand-Slam Night Out won’t be an opening event soon forgotten! 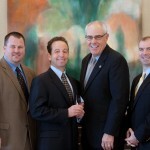 The Board of Governors recognized Milwaukee Electric Tool Corp. as NECA’s 2010 Industry Partner award winner. 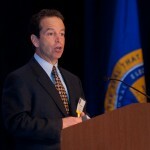 Steven Richman, president of Milwaukee Electric, accredited the award on behalf of the company. “We don’t take this honor lightly,” Richman remarked to the Governors. “We know we have to earn your trust by producing great products and integrated learning. Milwaukee has generously supported NECA’s educational initiatives for many years, as an exhibitor at the NECA Show, a supporter and platinum level training partner for the National Joint Apprenticeship Training Committee and as a new member of ELECTRI International’s Partner’s for Progress program. Milwaukee will lead a technical workshop at NECA 2010 Boston’s trade show on “Power Tool Safety and Productivity,” Oct. 3. 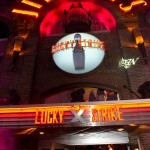 The company became a NECA Premier Partner in 2008. NECA’s Industry Partner Award recognizes those organizations or individuals who, though not members of NECA, contribute to the electrical contracting industry’s success through their decisions, actions, or cooperation with NECA. Previous winners of the Industry Partner Award include the National Fire Protection Agency (1996), Graybar Electric Co. (2004), and the Occupational Safety and Health Administration (2008). OSHA’s 10-Hour safety course has been the standard for general industry and electrical safety for years, but only recently did owners and general contractors begin demanding to see stamped cards verifying a worker’s successful completion of the course. We know you don’t have any time to waste, so we’ve gone the extra step to ensure that you get everything you need by participating in an educational session at NECA 2010 Boston – including the stamped OSHA 10-Hour course card at our pre-convention workshop, OSHA 10 for Outside. OSHA 10 for Outside is a two-day pre-convention workshop for high-voltage line contractors and workers. The workshop will begin Friday, Oct. 1, from 1-5 p.m. and continue Saturday, 8 a.m.-3 p.m., with an hour-long lunch break at noon. The cost for both days is $300. And yes, participants who successfully complete both days will receive their much-prized stamped OSHA 10-Hour card by mail shortly afterward! 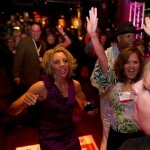 >>Register for NECA 2010 Boston NOW! >>Already registered, but want to add the pre-convention workshop “OSHA 10 for Outside” to your registration? Here’s how!